What characterizes a great workplace? In our view, three points are key to being recognized as an attractive employer: foresight and prevention, further education and training, asking for feedback. True to the old saying that “prevention is better than having to cure”, we endeavor to consistently pursue a precautionary approach in all of our five fields of action. In this context, NOVOMATIC initiated the implementation of a strategic Corporate Health Management (CHM) in early 2015 at its location in Gumpoldskirchen: the active involvement of our employees has utmost priority. This applies not only to the implemented measures and the required active participation, but also to the conceptual development of these measures. We furthermore endeavor to take account of the idea of prevention. These include seminars to quit smoking, for instance. However, this issue also includes the physical examinations which our company doctor has been offering during the past years. With our Corporate Health Management, however, we do not want to focus merely on the avoidance of illnesses. We rather want to offer attractive resources and programs aimed at maintaining our employees’ health. This is why we will be holding our second Health Day at the Gumpoldskirchen location on 15 September 2016. Our kick-off event for our annual Health Day, which was held at the end of June 2015, was a resounding success. The "health street" with quick health checks proved to be very popular, as were the two lectures held by Dr. Andrea Kdolsky on how to prevent burnout. The same applied to the many activity workshops such as Shiatsu, Business-Yoga or Piloxing which were offered several times in order to keep up with the strong demand. Various Corporate Health Management measures have also been successfully implemented in LÖWEN Germany, and NOVOMATIC Italy has also taken its first steps in this direction. Diversity has been an important topic for NOVOMATIC for a long time. On the one hand, this is due to our international orientation and the fact that this internationality is naturally also reflected in the composition of our workforce. On the other hand, diversity is also an important issue at NOVOMATIC’s headquarters: in Austria alone, our employees represent 64 different nationalities. In our opinion, however, diversity is not limited to nationalities or citizenships. For us, there are other aspects of diversity which are also of considerable relevance. These include, in any case, age and gender diversity, but – in our view – also the years of service or the number of trainees or apprentices per location. In our eyes, these are the factors that make NOVOMATIC truly “colorful”. In particular in the area of diversity management, we therefore have subjected and are subjecting ourselves to various certification processes. In 2015, we were able to obtain the basic certificate beruf+familie. For this, the family-friendly nature of a company is evaluated based on a comprehensive catalog of criteria. This set of criteria serves as the basis for an external audit. Here, the objective is not to immediately and completely implement all measures determined during the audit. The goal is rather to kick off an internal rethinking process within the audited company in order to sensitize employees and executives for this issue, going beyond the award of the certificate. The certificates are only granted for a certain period of time, so that after the end of this period a recertification is required. This process aims at ensuring a continuous development of internal measures and processes. In 2015, we also initiated preparations in order to successfully participate in a certification resulting in the award of the NESTOR Gold seal of approval. The main focus here is on age and the question as to how companies can offer age(ing)-appropriate workplaces. In this case, “age-appropriate” is defined as a work environment suitable for a certain age group, while “aging-appropriate” describes an environment offering equal opportunities for men and women in any phase of life. Our perception is that thinking in age categories is still prevalent. Our opinion, however, is that thinking in competences will be the crucial issue of the future. Employee Satisfaction: What do our employees say about us? LÖWEN Germany carried out an employee satisfaction survey in 2014 and spent the entire year 2015 analyzing the data and deriving appropriate measures. Happily, it was determined that the questioned employees were very satisfied with their employer LÖWEN. All in all, the area of internal communication was considered an important topic. This desire is met with the internal employee magazine “WIR” which is published quarterly and not only includes product news and Group information, but also celebrates company anniversaries and special employee achievements. As a response to the survey results, the training catalog for 2015 was again expanded, and a job rotation program was introduced. The success of these measures is currently being evaluated internally. A new employee survey is scheduled for 2016, in order to be able to provide a “satisfaction barometer” in the future. LÖWEN sees the employee survey as an efficient tool to involve employees, as the feedback is used in the development of concrete management measures. In Austria, two companies at the Gumpoldskirchen location participated in an employee satisfaction survey in 2015. During the course of a “pilot project”, the employees of NOVOMATIC AG and NOVOMATIC Gaming Industries GmbH were asked to participate. The objective was to gather valuable practical experience for a further rollout among the operating companies ADMIRAL Casinos & Entertainment AG, ADMIRAL Sportwetten GmbH and HTM Hotel und Tourismus Management GmbH. For these three companies, an employee satisfaction Survey was planned for the first quarter of 2016. The external evaluation of the results was received by June of 2016. Subsequently, the survey results are to be discussed in cascading workshops and used as the starting point for further measures. 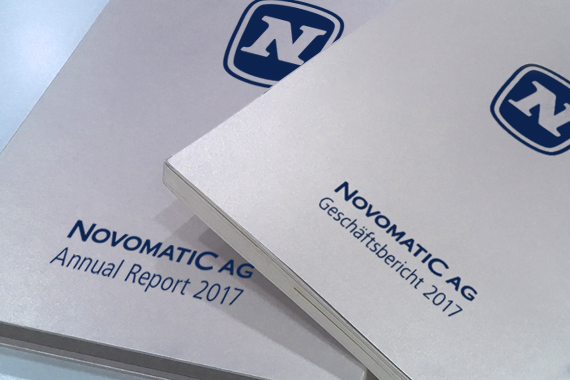 We were pleased to discover that the feedback was also clearly positive at both NOVOMATIC AG and NOVOMATIC Gaming Industries GmbH. The employees of both companies are very satisfied with their employer. According to the survey, this is mainly due to the close collaboration with colleagues, as well as the good working atmosphere. The employer’s perceived sense of responsibility also received high marks: employees reported that they feel that their employer takes good care of them. However, as was the case with LÖWEN Germany, feedback was given on internal communication. Employees wanted to have more and up-to-date information. This wish has already been answered to a certain extent with information events being held at the Gumpoldskirchen location on a quarterly basis. Further internal projects are, of course, currently being planned. For the concrete implementation of measures, we will await the survey results from the three remaining companies. The goal is to work together to implement effective measures which benefit as many employees in Austria as possible.